Eva Seeds Veneno (Poison) is a cross between Papa's Candy and Monster, inheriting the best of each. 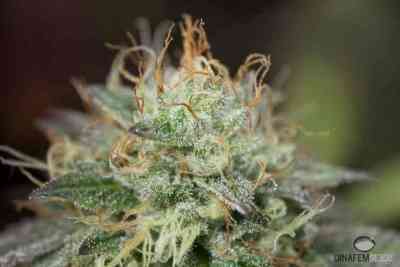 It is a hardy plant, the buds long, thick, compact and have an abundant of trichomes. The aroma and sweet flavour of strawberries and forest fruits give a very powerful aroma. Veneno is a plant of easy cultivation even for first-time growers. Her cannabis seeds are very resistant to pests, especially to powdery mildew. Outdoors allow pruning, multiplying their performance. Spectacular indoor growing with low consumption. Nutritional needs: it adequately tolerates high nutrients’ levels.